The lojong teachings include: "Always maintain only a joyful mind," "Don't be swayed by external circumstances," "Don't be so predictable," and "Be grateful to everyone." Each slogan is followed by Pema Chödrön's accessible and succinct commentary on how to understand and apply it. 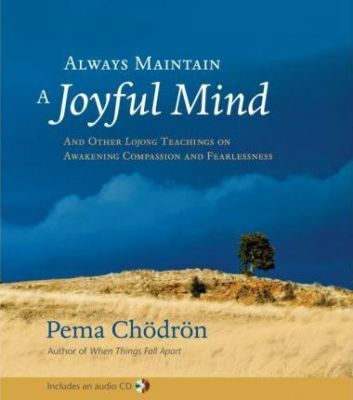 This book also features a forty-five-minute audio program entitled "Opening the Heart," in which Pema Chödrön offers in-depth instruction on tonglen meditation, a powerful practice that anyone can undertake to awaken compassion for oneself and others.